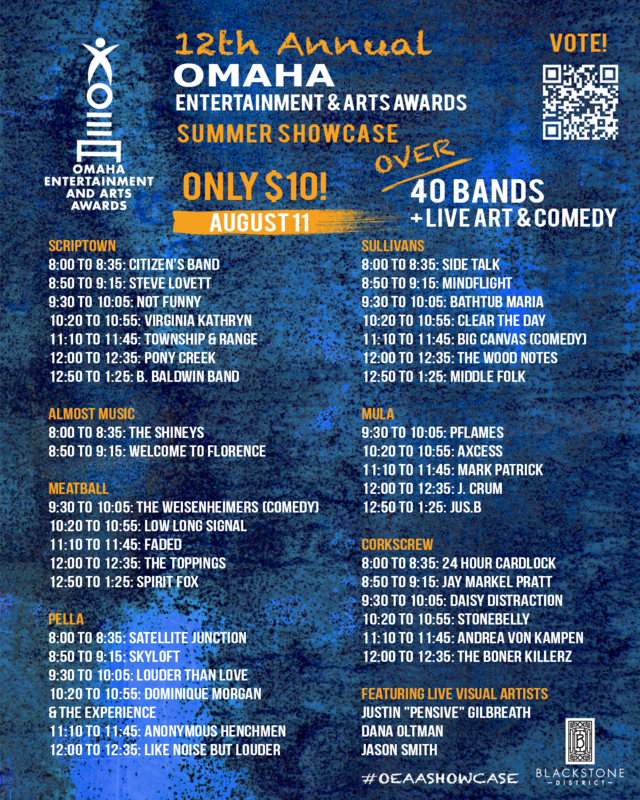 The 12th Annual OEAA Summer Showcase features a diverse lineup of live music and other forms of art and offers attendees the unique experience of being able to venue hop and check out a ton of local artists in one evening for just $10. All proceeds help make the annual Omaha Entertainment and Arts Awards show happen, which recognizes the best in live music, performing arts, and visual arts in Omaha. Traditionally the Summer Showcase has resided in downtown Benson, but this year we are moving to the Blackstone District.